Tom Pierce has decades of experience been leading, managing, and training people in corporate and non-profit organizations. He founded Pierce Management Development to coach and train executives, teams, and boards—and to facilitate their critical meetings— to achieve higher levels of excellence. At PMD, Tom is responsible for designing and facilitating strategic planning meetings and retreats, executive coaching, and professional development. He is certified by TalentSmart to administer and evaluate the Emotional Intelligence Appraisal™ and to present Discovering Emotional Intelligence™. Tom’s coaching clients include top executives in associations, chambers of commerce, nonprofit and business organizations from Washington, D.C. to Kentucky to Colorado to California. He has trained teams and facilitated board retreats in organizations whose missions range from accreditation to accounting, from hospitality to horses, from chocolate production to skiing history preservation. After a successful twenty-five year career in broadcast management with CBS Radio in New York, Chicago, and San Francisco, and with Boston’s Knight Broadcasting Group, where he served as executive vice president and chief operating officer, Tom founded his first management consulting venture, StayTuned. In 1997, the multi-state financial services holding company Banknorth Group (now TD Bank), recruited Tom to become the company’s senior vice president and managing director, marketing. In 2001, Tom formed Pierce Communications Group to share his expertise in marketing, motivating, and mentoring with businesses and nonprofits. In 2002, Tom was named to the faculty of the U.S. Chamber of Commerce’s Institute for Organization Development, where he developed and taught management and communication courses for five years. In 2009 and 2010, he was selected by the American Society of Association Executives (now ASAE) to be a facilitator/trainer on leadership issues at their Annual Meetings and Great Ideas learning labs. Tom created and facilitated the featured training session “Leading into the New Decade—Leadership Tools for Your Next Ten Years” at ASAE’s 2009 Leadership Conference. 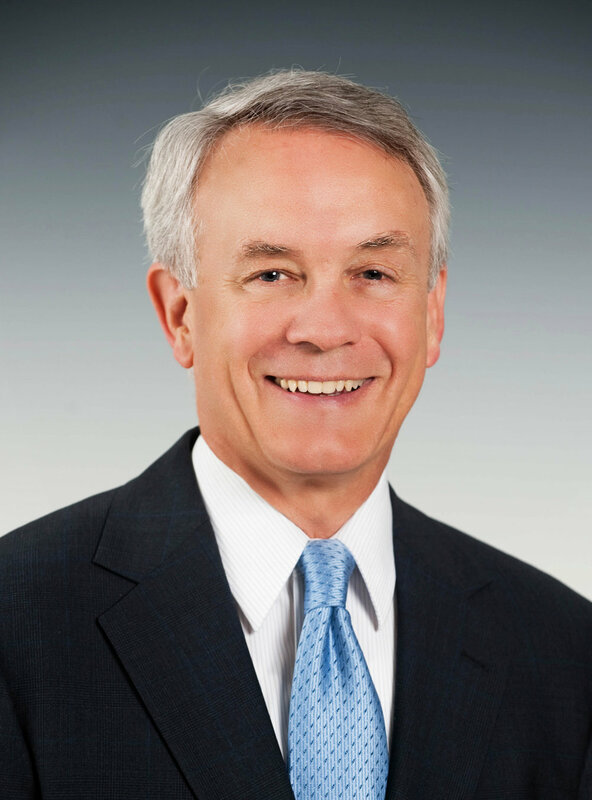 From 2007 through 2012, ASAE selected Tom to be one of five executive career coaches serving members attending the Annual Meetings in Chicago, San Diego, Toronto, Los Angeles, St. Louis, and Dallas. He served as Chair of ASAE’s Consultants Section Council in Washington, D.C. in 2011. Tom’s volunteer work has included serving as founding board chair of Champlain Valley CrimeStoppers and chair of the boards of Lake Champlain Regional Chamber of Commerce, Champlain College, and Shelburne Farms. He is a past president of Vermont Association of Broadcasters. Tom received a B.A. from Williams College, graduating with highest honors in English. He earned an MBA from Northwestern University’s Kellogg School of Management, focusing on marketing and finance. He is an avid skier, golfer, writer, and reader. Lu Ann Dillon is an executive-level consultant, educator, entrepreneur, and speaker. Lu has led project teams in the defense, healthcare, utilities, government, and education sectors. She has served in state government in the executive branch and as adjunct faculty to three New England higher-education institutions. As a partner in Pierce Management Development, Lu is responsible for organizational analysis and focuses on strategic planning, project management, and professional development. She co-facilitates critical-issue board meetings, helps to develop strategic initiatives, and works with clients to solve organizational, structural, and workflow challenges. Lu began her career as a teacher, teaching graduate-level courses sparked by the newly mandated health education requirements for public school teachers. She expanded that experience into a foray of graduate school studies, consulting on the design of statewide curricula, and a University-level adjunct teaching position. After teaching on the secondary and university levels, she began a career in management consulting and rose to the executive level. As senior vice president of the Maryland-based consulting firm Bell & Company from 1994 through 2004, Lu led project teams of as many as thirty professionals. Her teams specialized in complex operational planning and analysis, project strategy and design, fact-finding, and the strategic execution of performance-improvement measures. Working collaboratively with clients' management, Lu and her consultant teams helped to solve operational challenges for such clients as Tenet Healthcare, Raytheon, Lockheed Martin Aerospace, Lockheed Martin Missiles and Space, IMC Global, Florida Power & Light, and American Greetings Corp.
Lu has served as adjunct faculty at the University of Vermont, Champlain College, and Northeastern University. In 2004, Vermont Governor Jim Douglas appointed her Deputy Secretary of the Agency of Commerce and Community Development. Lu's volunteer work has included mentoring at NFTE, the Network for Teaching Entrepreneurship NFTE; serving the University of Vermont as chair of UVM’s Vermont Regional Board and a member of UVM's Alumni Council. Lu received her Bachelor of Science from University of Vermont, where she majored in education, physical and biological sciences, and psychology. She earned her Master of Arts from Boston University, majoring in health sciences and education. Copyright 2019 Pierce Management Development LLC. All rights reserved.